A Great Grand Cardinal Cross in the sky will be the configuration that we will experience at the next Full Moon in Cancer on 12th January. This pattern occurs when four or more planets occupy the vertices of an imaginary square creating two oppositions and four squares in heaven. This cross generally symbolizes that we are living under a great deal of stress and that we are facing an apparent endless series of challenges in reaching our goals. The planets forming this Great Grand Cross will be in the Cardinal Signs: the Moon will be at 22° in Cancer, Uranus will be conjunct Eris in Aries, the Sun, Pluto and Vulcan will be in Capricorn while Jupiter will be transiting in Libra. When we are under the influence of this configuration, we are working with a karmic pattern that we have been repeating through many lives and that we need to correct. Now the Greater Life is telling us that the time has come us to free ourselves from it. This time is a karmically tied opportunity to help us rise in consciousness through a focussed concentrated experience, which may seem stressful, limiting and frustrating on the surface of the life that we live, but which has the purpose of bringing order in the chaos that we created. 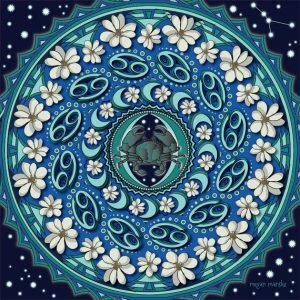 The quality of the experience that this Full Moon Grand Cross will create in us is a state of helplessness, hopeless endurance, antagonism or angry resistance and friction, but it will also trigger in us the urge to make a constructive use of this experience for our training and personal growth. In the Grand Cross three energies in the corner of the square are trying to pull us towards them, away from the our center, while the fourth corner represents the spiritual qualities and powers which our soul is seeking to make us aware of in order to develop internal balance and integration. The Moon is the old karmic mind pattern, Uranus represents the need to mentally join together our inner duality in order to leave the old mental structure behind and open ourselves to the new, while Jupiter indicates sincerity in motivation in order to create an inner alchemy to dissolves our own false pride and the desire to pursue unfruitful compensations. The presence of the Sun/soul reminds us that we have to focus God-ward in order to realize who we really are and what we want in order to live in Truth. Aries is the sign of beginning, Libra represents the point of balance between the old and the new, Capricorn is the death of the old Form/way of being, the triumph over death and the resurrection, while Cancer refers to the release of the old karmic pattern which kept us asleep in the old way of living associated with mass consciousness. 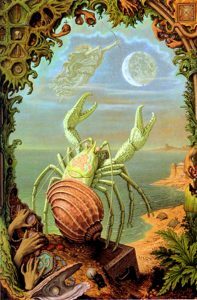 Figuratively Cancer is associated to the crab which is symbolic of the need to protect oneself instead of feeling obliged to serve another person’s needs before our own. For this reason the Full Moon in this sign reminds us that we need to stand on the ground and learn to say no to the demands of others when it is not right for us, encouraging us to decide where we truly want to go and what we will do when we get there. This is probably why etymologically the word Cancer means in Greek “holding or encircling” and in Hebrew the one “who holds”, “who binds”. In the ancient times the two main stars of this constellation were called Asellus Australis (Delta Cancri) and Asellus Borealis (Gamma Cancri), or the Southern and the Northern Donkeys. Other names were “A Resting Place” or “Ending of a stop”. Donkeys have been a sacred animal since the old times: in Egypt the donkey was the symbol of the God Ra; two donkeys secured the victory for the god Dionysus in his war against the Titans; and two were the donkeys on which Jesus was sitting when he rode into Jerusalem. 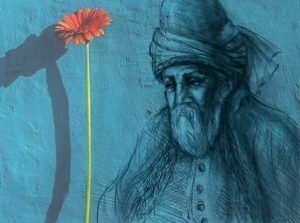 The common denominator is the fact that all these gods in a similar manner had to travel slowly, riding on donkeys and face difficult situations, but they all managed to overcome them and be victorious in a way or another. Donkeys are symbolically stubborn, persistent, have the endurance to resist, they need taming, and they are ignorant of their true spiritual self. For this reason they are an expression of the inner battle between the Divine and animal nature in man. 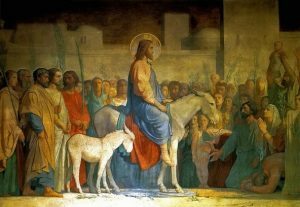 When Jesus/soul rode on the donkey to Jerusalem, it meant the perfected man was in the process of reaching the peace in consciousness through the alchemical process. During the influence of this Full Moon in Cancer all the inner aspects we did not want to see before will rise within us so that we may see the truth that lies in front of us. The Cancerian emotions we are going to experience will be there to be released and show us where we want to go. A revolutionary energy has been building up for a while and we will keep feeling it growing up to its peak, which will occur during the Eclipse season next month. The pressure triggered by this Full Moon in Cancer will show us what we cannot bear any longer so that we may discriminate between what we need to let go and what it needs to stay. We do not need to push in one direction or another but we need to allow the Universe to take the lead and guide us towards our own future. “Sorrow prepares you for joy. It violently sweeps everything out of your house, so that new joy can find space to enter.